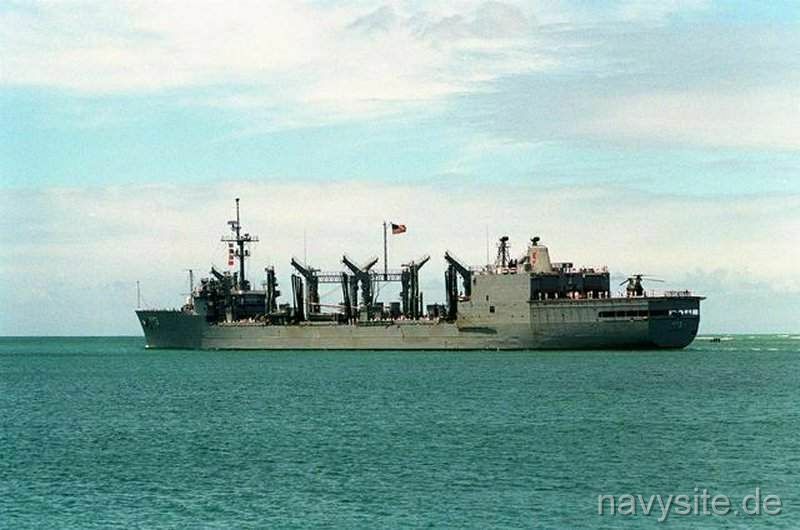 USS KANSAS CITY was the third ship in the WICHITA - class of replenishment oilers. 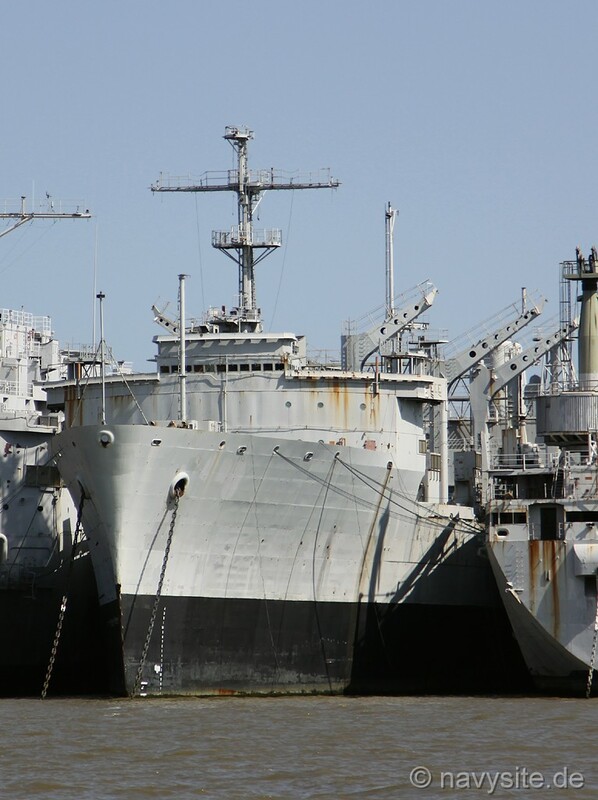 Decommissioned on October 7, 1994, and stricken from the Navy list on April 8, 1997, the KANSAS CITY was subsequently laid up with the Suisun Bay Reserve Fleet, Benicia, Ca., awaiting final disposal. 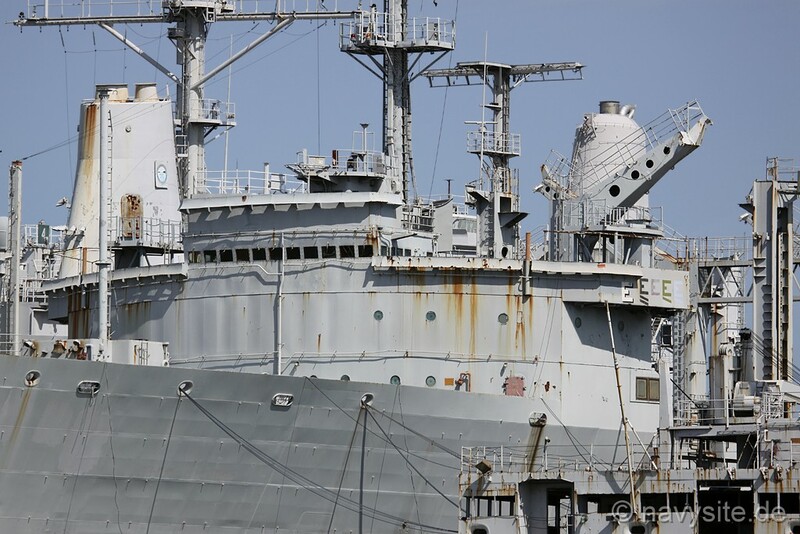 Sold for scrapping on June 11, 2013, to All Star Metals of Brownsville, Tx., the KANSAS CITY was towed to nearby Mare Island, Vallejo, Calif., for clean-up on July 31, 2013. 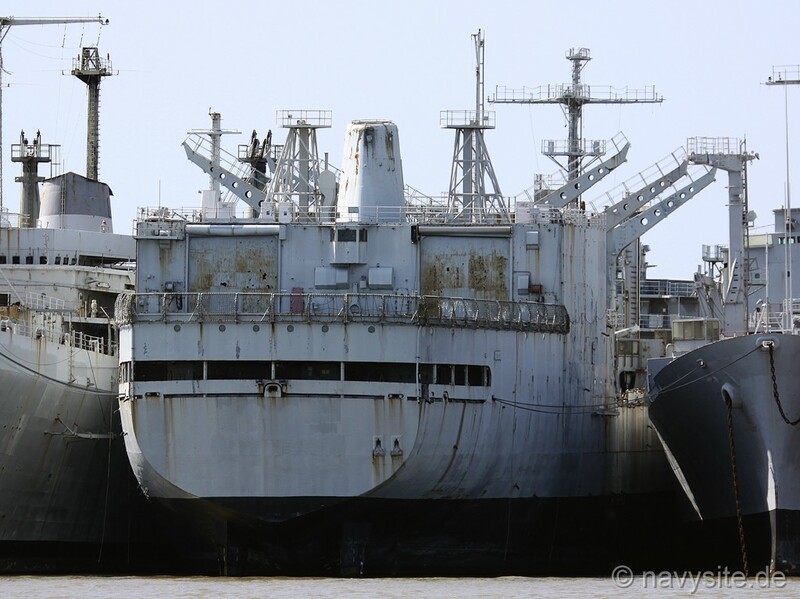 The ship left California under tow on August 16, 2013, and arrived at Brownsville, Tx., on October 20, 2013. She has since been scrapped. This section contains the names of sailors who served aboard USS KANSAS CITY. It is no official listing but contains the names of sailors who submitted their information. 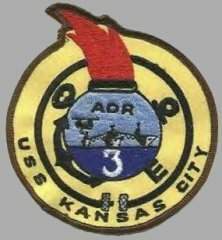 Click here to see which USS KANSAS CITY memorabilia are currently for sale on ebay. USS KANSAS CITY is struck by the USS HENRY B. WILSON (DDG 7) while moored at Subic Bay, Philippines. 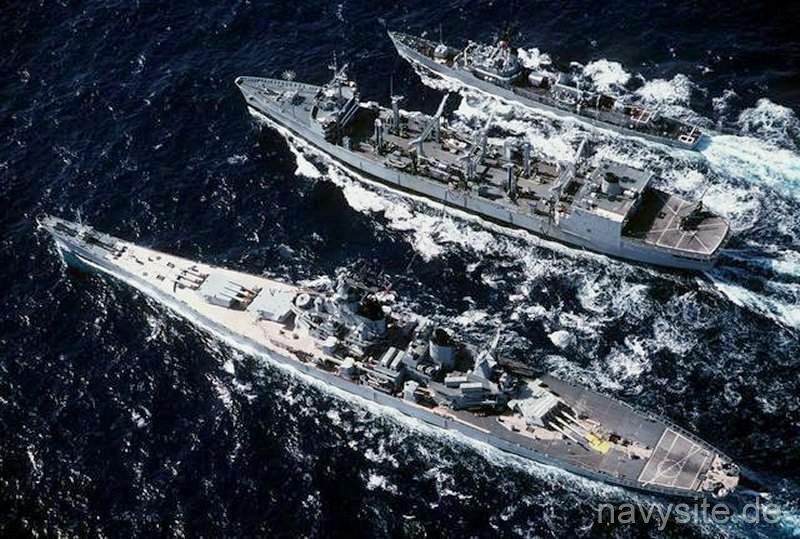 Both ships suffer minor damage. USS HARRY W. HILL (DD 986) collides with the USS KANSAS CITY during an underway replenishment at about 0630 local time. The HARRY W. HILL suffers a cracked sonar dome and various other damage and subsequently spends approx. 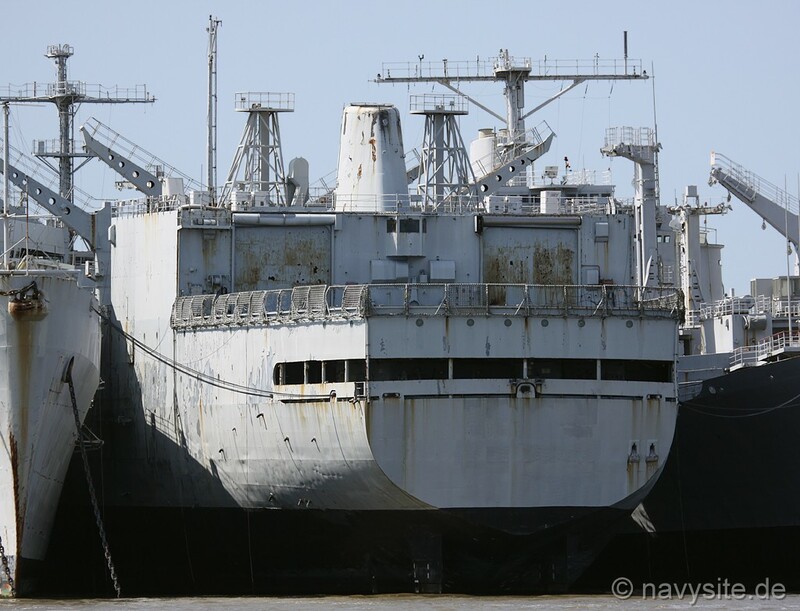 3 months at Naval Station Subic Bay, Philippines, for repairs. 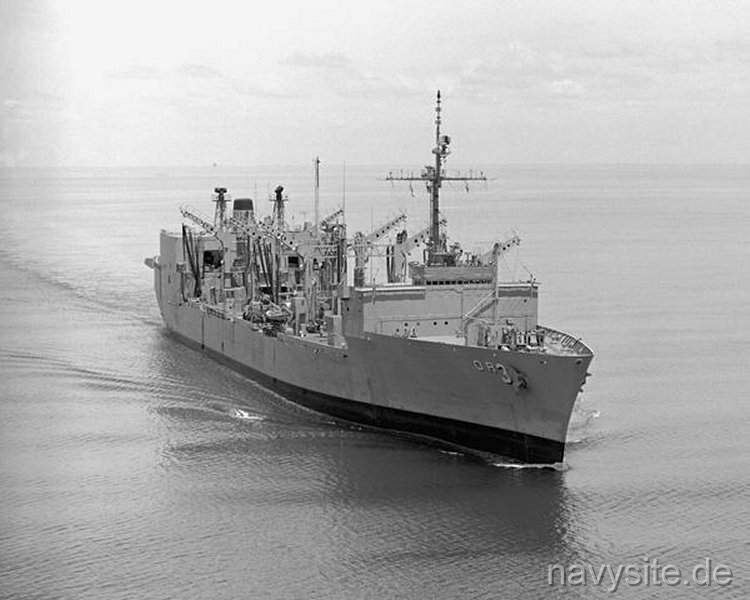 The KANSAS CITY suffers two underwater holes in fuel tanks, a crushed bulwark and various external topside damage from mid-ship to aft on the starboard side. For the following 3 weeks, the KANSAS CITY receices temporary repairs in Dubai, UAE. The photos below were taken by me and show the KANSAS CITY laid-up at Suisun Bay, Calif., on March 27, 2010.